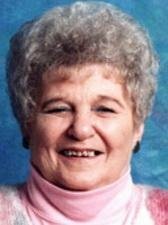 WATERLOO — Leona E. Bentley, 87, of Waterloo, died Monday, Sept. 13, at Parkview Nursing and Rehab Center of natural causes. She was born Dec. 15, 1922, in Chickasaw County, daughter of Henry and Erma Kluth Niedert. She married Delwyn Thompson. He died in 1970. She married Ernest Bentley April 17, 1971, in Waterloo. Survived by: her husband; two sons, Delwyn (Sharon) Thompson of Independence and Dennis (Carol) Thompson of Janesville; a stepson, Brian Bentley of Waterloo; two stepdaughters, Brenda (Ron) Jungen of Raymond and Roxanne (Dean) Mobley of Cedar Falls; 14 grandchildren; many great-grandchildren; and a stepsister, Barb (Ed) Sweerin of Evansdale. Preceded in death by: two sons, DeWayne and David Thompson; a stepson, Daniel Bentley; a stepdaughter, Deborah Bentley; two sisters, Marian and Helen; four brothers, Harry, Herman, Floyd and Al; a stepbrother, Henry Niedert; and a stepsister, Delores. Services: 1 p.m. Thursday at Kearns, Huisman-Schumacher Chapel on Kimball, Waterloo, with burial in Grant Township Cemetery, Reinbeck. Public visitation for an hour before services Thursday at the funeral home. Memorials: may be directed to the Cedar Valley Hospice.